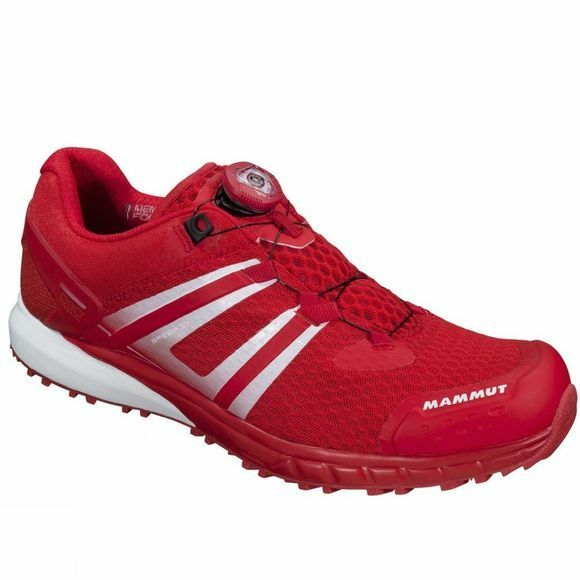 The Mens MTR 201-II Boa Low Shoe from Mammut is very direct and light. 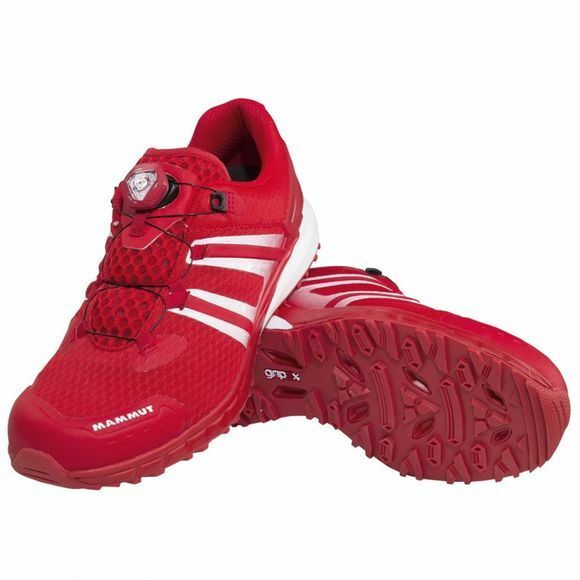 The IP EVA midsole provides good cushioning and has a heel drop of 6mm. The Stone Protector and D3O Strobel construction make sharp stones barely noticeable. This competition shoe also features the patented Rolling Concept, the aggressive gripex Sonar tech sole with integrated Sonar technology, Base Fit Advanced with improved efficiency, memo foam, VentTech and FeetMap, as well as the proven Boa lacing, which now allows micro-adjustment in both directions.